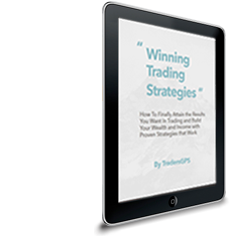 TradersGPS presents a proprietary stock/equity trading system that is logical and robust. It not only generates clear-cut long/short signals, but also utilises a comparative screener to distinguish higher probability trades and find stocks where money and interest is flowing in to. Designed to remove the bulk of the emotions involved in trading, it is an effective method to profit with stocks and equities. Collin Seow is a qualified Chartered Portfolio Manager (CPM) and holds a Certified Financial Technician (CFTe) qualification. He is a member of MENSA Singapore and Technical Analyst Society Institute (TASS). A regular speaker at various conferences, he combines his unique brand of “street-smarts with heart” in trading. He is also a bi-weekly Columnist of Shares Investment Publications and has been featured in the book titled “Secrets of Highly Profitable Traders” which is in The Straits Times national bestseller list for 21 weeks. Marc Liu is a trader, investor, and educator. He was a professional gamer competing as part of Team Singapore, and has travelled extensively on sponsorship trips to as far as Europe. As a former head equity dealer in a financial firm, he brings valuable insights and experience to the masses, and focuses on portraying the reality of the markets with a look to trading the markets in a logical way. Marc is a sought after speaker and has taught at various private equity firms and is also a contributing columnist.